As “keepers of the home,” we give and sacrifice for our families 24/7. We make sure our kids have room to play and our families have clean clothes and nutritious food to eat. We volunteer, we clean, we host holidays and birthday parties — we work hard! One thing that is very important to me is that you all know your value and your worth. I want you all to experience happiness and contentment right where you are. 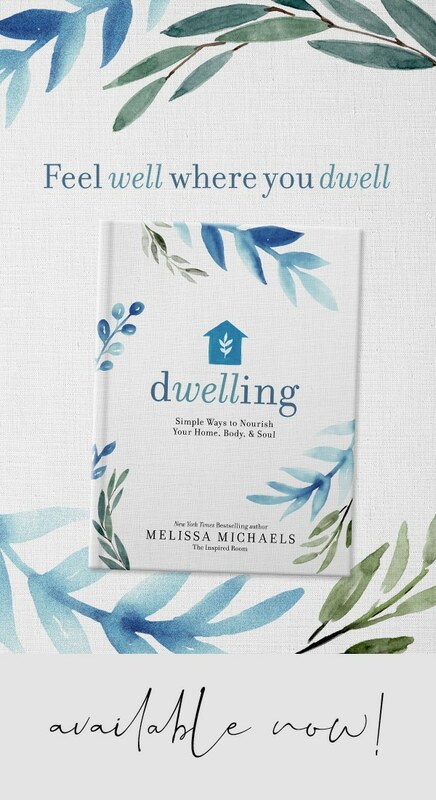 You deserve to create a little special place in your home to call your own. A place to take a deep breath, a place to be reminded of all that is good in your life, and a place that makes you smile! Whether you have a whole room to yourself, a little corner, a wall, or even a shelf or a chair, take some time to make it special! 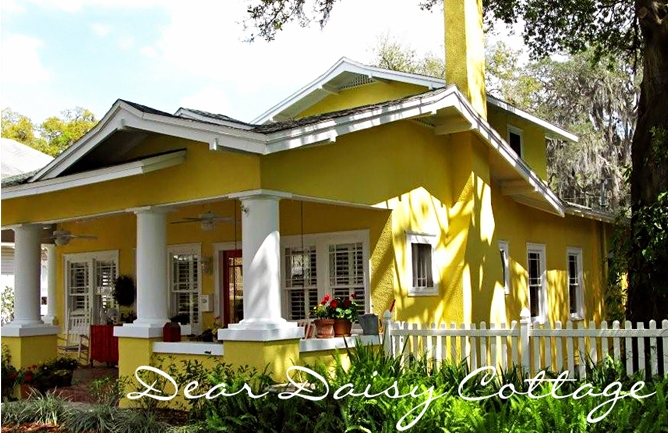 Please welcome my special blogging friend and guest today, Kim from Daisy Cottage. 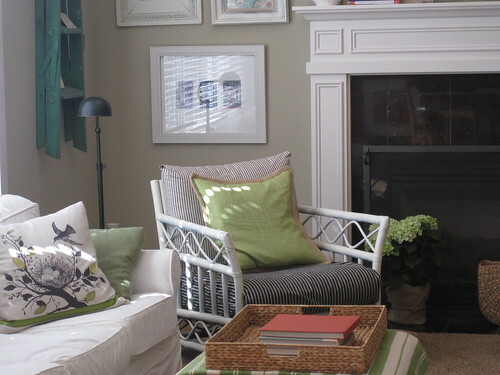 Daisy Cottage is the kind of home that makes you smile. 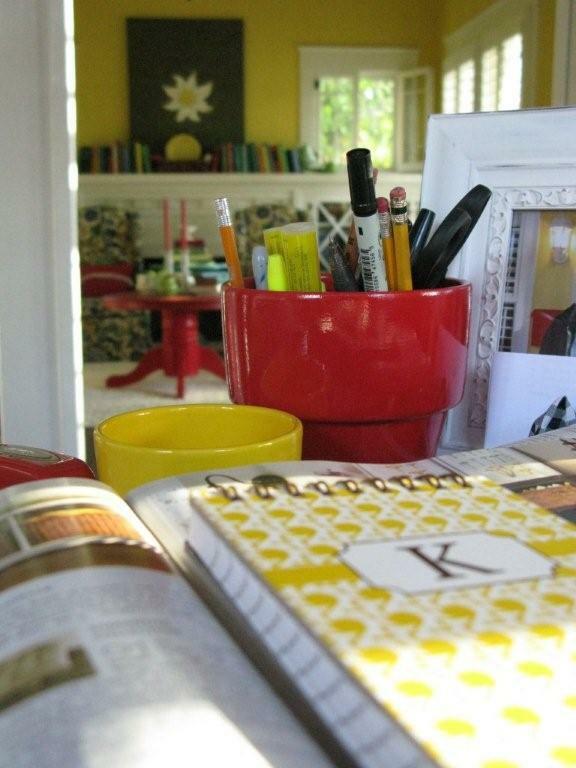 I have invited Kim to share her “special place” in Daisy Cottage to inspire us! 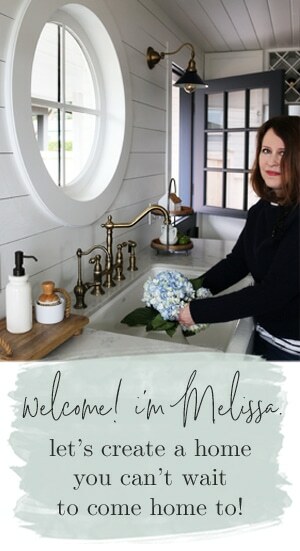 Thank you so much Melissa for the honor of having the opportunity to share one of my favorite spots in Daisy Cottage with your readers – my office and its’ view of the living room. I love being in here, as it is where I blog, write, read, dream, and enjoy visiting other beautiful bloggers, such as yourself. 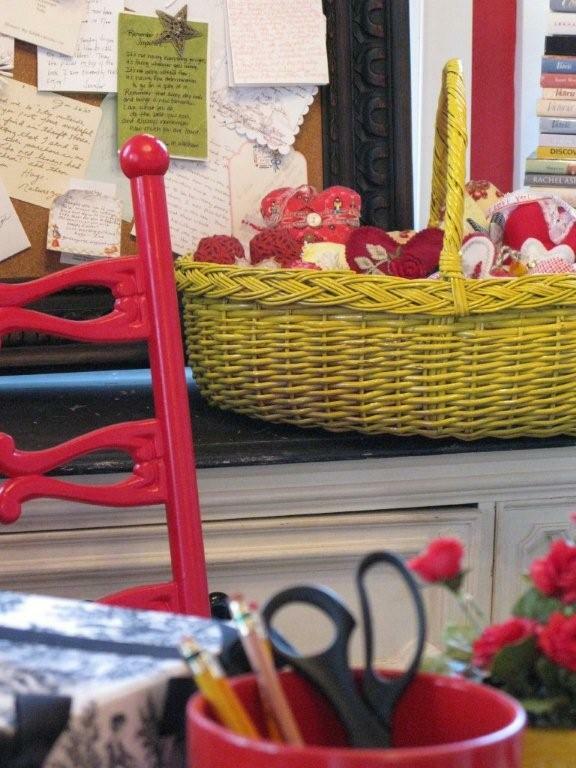 It is my little room to simply be or to gain inspiration from my books, magazines, and the sweet tokens of friendship that I’ve been blessed to receive from my sister bloggers and readers. It is a happy place and very dear to me. My wish for ALL keepers of the home, is that they not only fill every corner of their nests with the colors and things that they love and that truly makes their heart sing, but I hope that they, too, claim their own special spot in their homes just for them. I would like to encourage them to surround themselves with whatever inspires them and reaffirms to them that they are special and unique, not only to their families but to our world. Because they ARE. 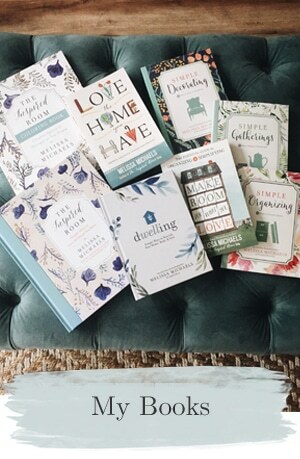 All homemakers have SO much to give and are precious, one-of-a-kind souls — definitely worthy of having their own little space to call their own. Do you have a special corner to call you own? Tell us about it in the comments, or dream about what it would be like! 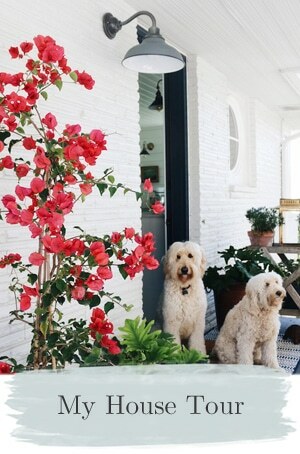 See how she finds beauty every day! Thank you for sharing with us today, Kim! 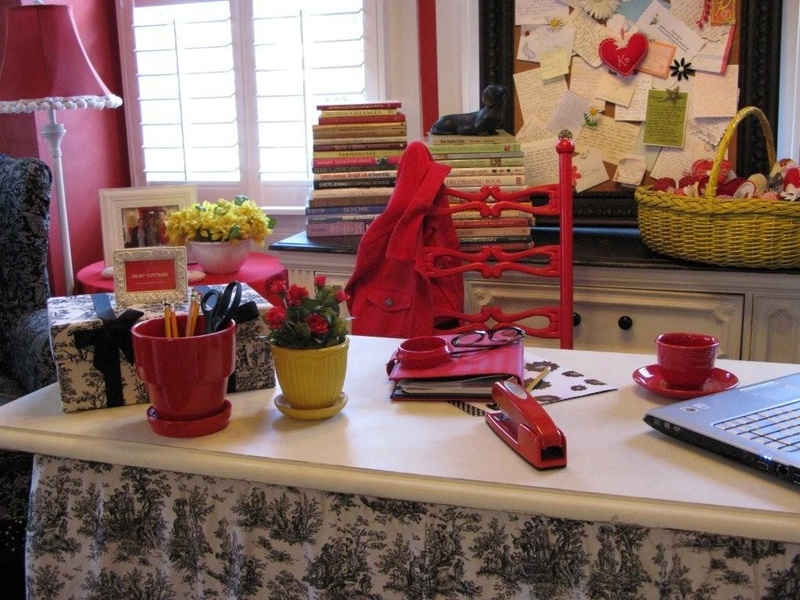 If you are a follower here on The Inspired Room, you’ve seen my blogging corner many times. You just might not have known it was my prime blogging spot! That right there is my blogging chair. You can see I sit there a lot, since my green pillow is smashed into the shape of my back. Guess I should have fluffed it for the photo, I just get used to seeing it all smushed! I don’t yet have a home office set up in a way that I really like. 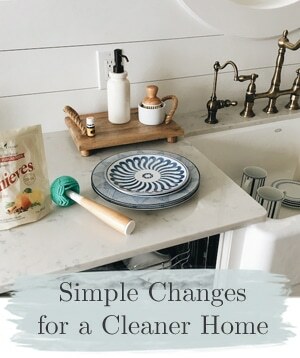 I do keep all my supplies and paperwork in my office and do my business type stuff there, but I love to just hang out in my family room reading blogs when I have the opportunity. 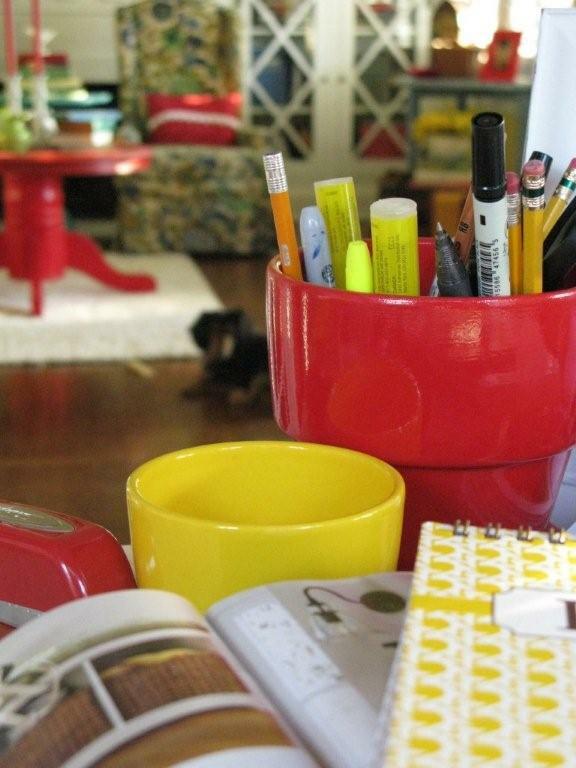 Someday in the near future, I’ll beautify my home office so I can enjoy it more. But honestly, my blogging chair rocks. I can see the TV if I want, and I can see the kids. And in the winter, I’m right by the fire! COZY! And if I want to really kick back, I can spread out on the couch or put my feet up on the ottoman. I’m all about the comfort. I like to see what is happening around my house and this is the prime spot to sit! 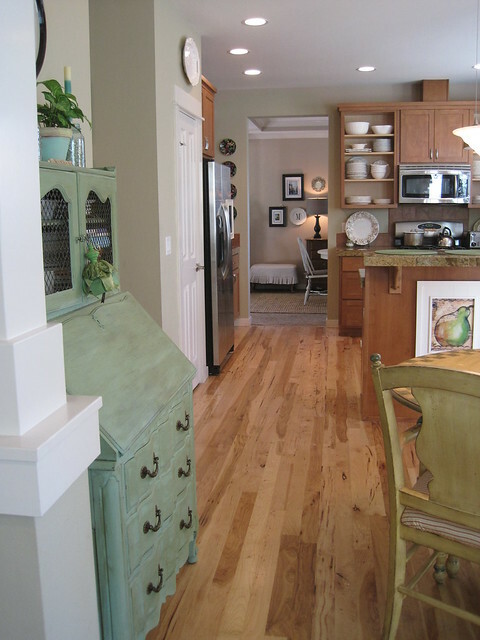 If I look out from my blogging chair across the family room, I can see right into my kitchen. And I can dream about all the projects I want to do in there! I have a new project I’ve done just outside of this photo, in fact! I’ll show that later! I REALLY love having a job that I can do right from my family room if I want to! 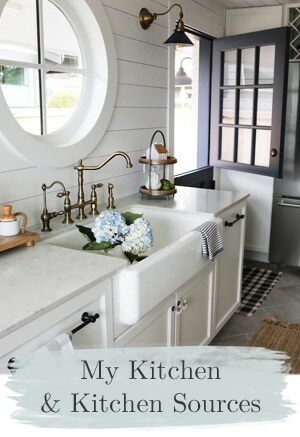 Check out the “Where do you blog party?” today at Centsational Girl!